Lemon vs. lime in your drink. What’s the difference? Cocktails, like most things, are all about balance. A great cocktail can take many different forms, but the one thing that unites all great cocktails is a perfect balance. It is well known that fresh citrus is a vital part of most bar menus, but how do you know when to use lemon juice, and when to use lime? Lemons and limes are both very acidic but have slightly different flavors and scents. 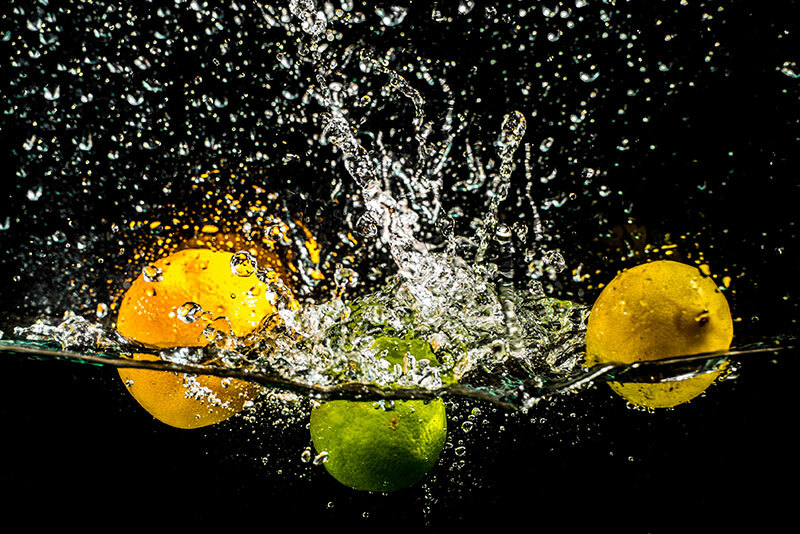 Lemons have a sour, acidic taste, while a lime has a bitter, acidic taste. Why is it that bartenders always lean so heavily on lemon and lime for cocktail infrastructure? The answer is their acidity. Your palate can be engaged 5 ways: sweet, sour, salty, bitter, and savory (umami), and the use of citrus recruits more of it. You may not be able (or willing) to drink gin on the rocks but you can drink a Tom Collins. The reason for that is because in a Collins, a sweetener (sugar) matches up with an acid (lemon), and their tandem act provides misdirection for your tongue, essentially distracting you from the fact that alcohol would otherwise burn. With vodka, if you use lemon juice, you drink is called a Lemon Drop, if you use lime you have different cocktail called a Gimlet. They are essentially the same thing, but by substituting out even the smallest thing like the choice of citrus, you actually change the cocktail completely. A balance of two strong, opposing flavors, with alcohol on top of them as flavor. Plus lemons and limes are cheaper than most other fancy citrus fruits, and readily available, and pretty much go with every type of liquor.